Habitability cases in California allow renters to recover damages for, among other things, constructive eviction, personal injury, tenant harassment, and overpayment of rent. In jurisdictions with rent ordinances that allow for treble damages, such as Berkeley, Oakland and San Francisco, the monetary recovery for renters can be substantial. However, for any habitability case to be successfully prosecuted, the right experts must be retained. As with any litigation, there is a difference between consulting and testifying experts. In habitability cases, consulting experts can be used to help determine if habitability defects exist in a renter’s unit. For example, in cases of water damage, it is prudent to secure the services of an environmental consultant to determine if mold, mildew or other biological contaminants are present. If so, and the landlord refuses to remediate, this can help justify a tenant in abandoning her rent-controlled unit and to seek damages for constructive eviction. Testifying experts can also use the results of any testing performed by consulting experts to provide opinions on the condition of a unit and/or the failure of the landlord to act appropriately to fix the problem. Constructive eviction most often occurs when a landlord does not perform necessary repairs or maintenance and allows substandard conditions to exist in breach of the warranty of habitability or quiet enjoyment of the premises. If a tenant is ousted from a long-term rent-controlled unit under these circumstances, a major element of damages is the future “loss of use” of a rent-controlled apartment. This article describes the types of experts typically used to ensure our clients are provided with the compensation they deserve. In California, building owners are responsible for repairing conditions that seriously affect the habitability of any tenant’s unit. A warranty of habitability is implied in every residential rental contract. This is a promise by the landlord to obey housing and health laws and to keep the property safe, sanitary, decent, and fit for the purposes for which it was rented. (Green v. Superior Court (1974) 10 Cal.3d 616.) Moreover, a tenant may sue in tort for defective conditions in a residential dwelling. The covenant of quiet enjoyment is also implied in every residential rental contact. (See Cal. Civ. Code Ann. § 1927.) Landlords have a duty to provide tenants with the full, free and beneficial use of their units, as well as peaceful possession and enjoyment thereof. This duty, “is a given.” (Andrews v. Mobile Aire Estates (2005) 125 Cal.App.4th 578, 580.) A landlord’s failure to rent a habitable unit will deprive their tenants of the full and beneficial use as well as the enjoyment of the Premises. For issues related to uninhabitable units, it is necessary to retain a general contractor expert with experience in the full range of construction. Ideally, the expert will have extensive experience with full on-site construction management and development. They should be effective at scheduling, monitoring, and inspecting all construction work from start to finish, encompassing mechanics, logistics, customer relations, and economics. It is also helpful for the expert to have worked with architects, engineers, developers, bankers, contractors, inspectors, city officials, and designers on sophisticated and complex projects. The general substance of a construction expert’s testimony will concern the nature and the extent of the untenantable conditions within the Plaintiffs’ unit. They should be able to opine on the failure to meet industry standards in maintaining and repairing defective conditions at the premises; the cause and extent of the poor hygienic conditions in Plaintiffs’ rental unit; the conditions within the subject property and whether such conditions breached the implied warranty of habitability, were substandard, untenantable, constituted a health risk to the Plaintiffs, and/or violated the Health & Safety Code and Civil Code provisions. Many of the tenants we represent have experienced prolonged periods of water intrusion resulting in the proliferation of biological contaminants. In such cases, an expert industrial hygienist should be retained to provide testimony regarding indoor air contaminants including mold, dust mites, and other organic, inorganic and biological contaminants. An expert industrial hygienist can also be utilized to testify concerning the various causes and sources of mold and organism growth, as well as the location and extent of any such mold or organisms that may be present in the subject property. An expert industrial hygienist can also testify about and comment upon the opinions of other consulting and expert witnesses. Ideally, the expert will be a Certified Industrial Hygienist by the American Board of Industrial Hygiene. We retain environmental experts with trial experience and masters-level education. In many mold exposure cases, the landlord or tenant contracted with a mold testing company that uses technicians with a variety of lower level credentials and experience. That caliber of environmental testing is affordable and allows tenants to make more informed decisions about whether it is safe to occupy a unit. It also gives landlords an idea of how much work is necessary to make the unit safe. While such technicians may be competent to collect samples, they lack the pedigree to testify authoritatively about the findings and generally make weak experts. Also, there is a risk that low-cost field technicians will skew results to favor the landlord or property manager that hired them. It is easy to skew a test by simply not shutting all windows and doors for 12 hours before the sample collection. We have also seen “clearance” tests where air scrubbers are run for a few days, turned off, and a sample collection is taken. Such a collection practice will inevitably result in a passing test, regardless of whether the environmental issue was addressed properly. As with the contractor expert, the expert industrial hygienist should, wherever possible, inspect and test the subject property before the tenant(s) vacate the unit. In cases of constructive eviction, counsel should always serve a notice of inspection to have the industrial hygienist and contractor expert determine what work was subsequently done to remediate the unit. By doing so, they can help show the property owner(s) and their agents had the ability to fix the problems that caused the tenants to vacate. In many of the habitability cases prosecuted by our firm, the property owner(s) and property management companies that act as their agents, fail to do the maintenance and remediation work necessary to keep the subject property habitable. Often, there is a tension between the owner who funds repairs and the manager who hires contractors and supervises the repair process. We see cases where a property management company recommends repairs using licensed contractors or mold remediators, only to have those recommendations ignored by the owners, who prefer to cut corners. Under such circumstances, a property management company may try to placate both the tenant and owner. When a management company assumes the duty of running interference for a negligent owner who refuses to fund proper repairs or pay statutory relocation fees, there may be liability outside of the indemnification clauses typically found in property management contracts. To demonstrate that owners or their agents have fallen below the standard of care, we often retain a property management expert. California Civil Code section 1714, subdivision (a) states: “Everyone is responsible, not only for the result of his or her willful acts, but also for an injury occasioned to another by his or her want of ordinary care or skill in the management of his or her property or person, except so far as the latter has, willfully or by want of ordinary care, brought the injury upon himself or herself.” By reason of the landlord-tenant relationship, property owners owe their tenants the duty to provide them with legal, tenantable housing, fit for human occupancy; the duty to refrain from interfering with the tenants’ full use and quiet enjoyment of their rented residences; and the duty to comply with all applicable state and local laws governing Plaintiffs’ rights as a tenant. The general substance of the property management expert’s testimony concerns the relevant violations of local and state housing codes; the standard of care for property owners and managers with respect to owning and maintaining residential rent controlled property in San Francisco; standards for responding to tenant complaints; and standards for reducing rent concomitant with a reduction in services under California and San Francisco code. The property management expert will also generally testify in their capacity as an expert in the application of the applicable residential rent ordinance, specifically, as well as with respect to the above subjects. To determine the fair rental value of an abandoned unit, it is essential to have an expert residential real estate appraiser specializing in residential real estate. The expert should be able to provide testimony regarding the value of the disparity between the controlled and market rent for the subject premises. They should also be able to provide testimony as to the likely duration of the Plaintiffs’ tenancy at the subject premises but for their vacating due to the tenant harassment and Defendant’s endeavor to recover possession. In many cases, tenants suffer from medical issues such as breathing problems and headaches associated with exposure to mold, mildew, dust mites, and other biological contaminants. The medical expert’s testimony should concern the nature and extent of the injuries to the plaintiffs, their illnesses and symptoms sustained as a result of living in the subject property. The medical expert should also be able to opine as to causation between Plaintiffs’ injuries, illnesses and symptoms and plaintiffs’ exposure to airborne and surface contaminants within the subject premises, including related vectors such as dust mites. The medical expert should be able to provide testimony as to plaintiffs’ treatment and prognosis with other medical providers and causation between plaintiffs’ exposure to contaminants in the subject property and the need for past and future medical treatment and future medical monitoring; the exacerbation or increase in plaintiffs’ injuries, illnesses, symptoms, and/or susceptibility to future illnesses as a result of residing within the subject property. By providing such testimony, the medical expert will help support the plaintiffs’ claim for personal injury, which can further increase the recoverable damages. With the onset of cool winter weather, we are seeing an uptick in carbon monoxide exposure cases. This is a significant problem in Northern California. Many residential dwellings in the Bay Area are heated by wall-mounted gas heaters that are centrally located and meant to serve the entire apartment. These heaters need to be run at their maximum level for extended periods to heat the unit. Such heaters tend to be old and poorly serviced. Often, handymen install or service them instead of licensed heating and cooling professionals, which can be a recipe for disaster. If the heater is not combusting or venting properly, carbon monoxide containing exhaust fumes can seep into a dwelling and build up. Although carbon monoxide detectors are now mandatory, many residential units still lack them. Symptoms of carbon monoxide poisoning range from headaches, nausea, vomiting, altered mental states and even coma. These symptoms tend to clear when an affected person spends time away from the source of exposure. Carbon monoxide poisoning can cause brain damage and miscarriage or birth defects. Pregnant women are especially at risk if they reduce their activity in the third trimester and spend more time at home near a carbon monoxide source. Typically, a tenant will eventually suspect that there is a problem and call the gas company, which inspects and measures an appliance for carbon monoxide. Nevertheless, experts are crucial in successfully prosecuting this type of case. Expert testimony from heating specialists will be necessary to opine on the cause and duration of the problem. Medical experts such as neurologists, or fetal medicine specialists (if miscarriage or birth defect is suspected) are necessary to link the symptoms and harm to the exposure. A property management expert will also be helpful to opine on the best practices for maintenance, installation, inspection of gas appliances and carbon monoxide detectors. Carbon monoxide exposure is serious and deadly and completely avoidable. Advise friends, family, or clients to have the gas company inspect their appliance if they suspect that they are being exposed. As tenant rights attorneys, we have unfortunately seen innumerable examples of landlords flagrantly neglecting their responsibilities to provide habitable housing. The result is often that their tenants are forced to leave, which allows the landlord to raise the rent to the current highly inflated and largely unaffordable market value. Securing the services of the experts described above is necessary to help establish that a landlord and their agents failed to provide habitable housing. 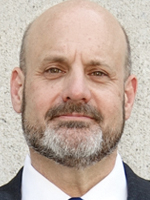 Aaron H. Darsky began his legal career at Schubert & Reed, LLP, consequently representing plaintiffs in shareholder derivative actions and consumer, antitrust, securities fraud, multi-level marketing fraud and shareholder minority rights class actions. 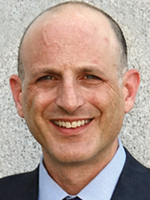 Aaron began litigating habitability cases with Eric Lifschitz in 2009. He is now a partner at LEDA Law. Aaron received his juris doctorate with a certificate of specialization in litigation from Golden Gate University School of Law. He earned a bachelor of arts degree from Michigan State University College of Business.